Be the mane attraction: Top tips and products to keep long hair healthy! I’m very excited about this post today because it was a reader request! This reader specifically asked for tips and the best products on how to get long and healthy hair. This is such a great topic because I myself have been struggling with this issue for many years. So it’s great that I can educate you on this and myself . It’s a win win situation. When growing long, healthy hair you have cut off any damaged bits, no matter how much you have. This is the part everyone always struggles with! Go to a hairdresser and ask them to remove all the dead hair, and to style the rest. That way, you’ll look gorgeous and have well prepared hair! Hair stylist cannot stress this enough, this really will prevent damage from stopping your hair from growing. Go as often as you need to! Most hairdressers recommend a trim every six to eight weeks. If you notice your hair growth slowing down, there is probably damaged hair stopping it. This too can be a hard and a bit controversial one, for the ladies out there that love to dye their hair. I totally love the idea and the transformation when ladies dye their hair. You have to be realistic though the chemicals in dyes are very harsh on the hair. But there is some good news to this a lot of companies have been releasing non peroxide dyes, and even natural ones. I hate this one, but it really does work! Make your last rinse cold, and it will seal the hair follicles and give you shiny, healthy and bouncy hair. It’s amazing! Use a deep conditioner once a month, after leaving hair unwashed for slightly longer than usual. This allows the natural oils to work their magic, and the conditioner will enrich hair and make it clean. Now that I have covered tips to do for your actual hair, having healthy long hair, most importantly starts from the inside of your body. Here are a couple of tips to get you consuming the right stuff to get those healthy locks you crave. Protein is essential for hair growth, so consuming enough protein can make sure that the body has the necessary building blocks for hair. Complete sources of protein like meats and fish are the most beneficial for hair growth and many meats also contain iron, which is another essential aspect of proper hair growth. Foods like meats, fish, eggs, are excellent for hair growth. These foods also contain necessary fats that help promote healthy hormones and healthy hair! Biotin (and other b-vitamins) can also promote faster and stronger hair growth, and it is also good for the skin. Biotin is a water-soluble B-Vitamin that is also used in proper digestion of fats and sugars. Eggs, nuts, berries, fish and some vegetables all provide Biotin, though in small amounts, so sometimes a supplement can be helpful. If you are depriving your body of nutrition, your hair will be one of the first places to suffer. Ensure you are getting enough vitamins and minerals, and that you’ve got at least some fat in your diet. 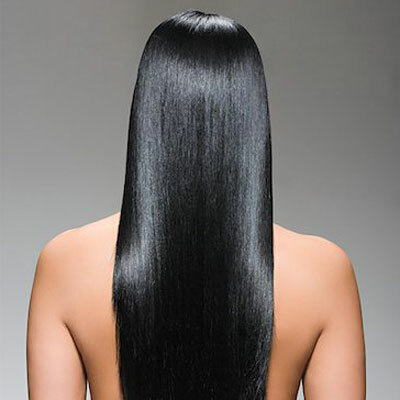 Hair’s natural oils keep it looking shiny—and many traditional shampoos strip them away completely. Look for labels with the words “anti-breakage,” “strengthening,” “restorative,” or “renewal,” since they mean that the shampoo uses ingredients that help to thicken the hair and temporarily seal split ends. 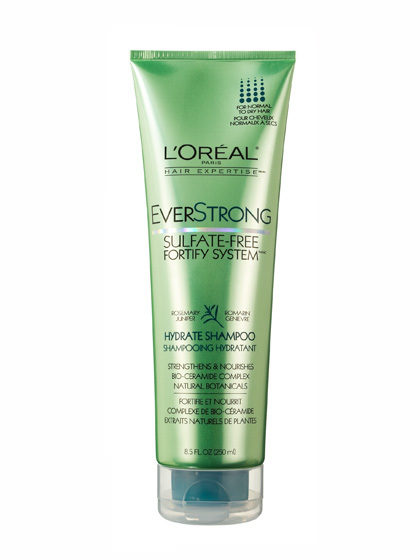 I like L’Oréal Paris EverStrong Reconstruct Shampoo. 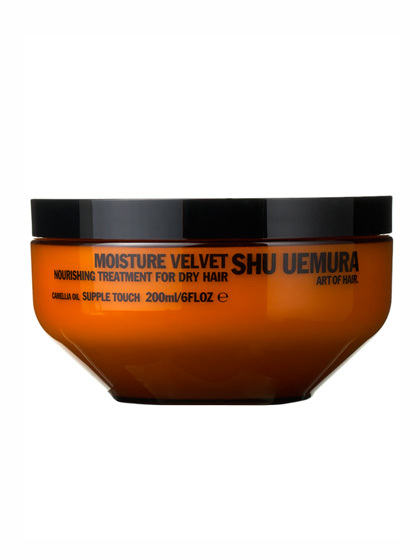 At least once a week, do more thorough damage repair with a deep conditioner such as Shu Uemura Art of Hair Moisture Velvet Nourishing Treatment for Dry Hair. The ingredients leave behind a smoothing film that hides dryness and damage for days. Just leave it on long enough to say its name three times, and hair will be shiny and tangle-free. 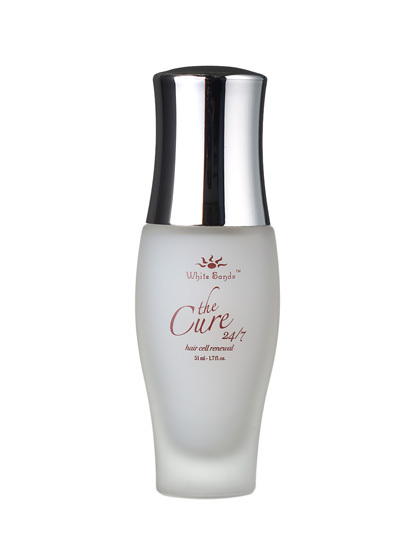 Though the only way to get rid of split ends permanently is to trim them, White Sands The Cure 24/7 can hold the frayed strands together all day. And the effects are not solely cosmetic—it may also help prevent future breakage by lubricating wet hair before brushing, and preserving the cuticle. Even if your hair isn’t at its healthiest, you can fake a shine with a gloss treatment in 20 minutes—glosses are as straightforward as applying home hair color, but without any chance of accidentally turning your hair orange. 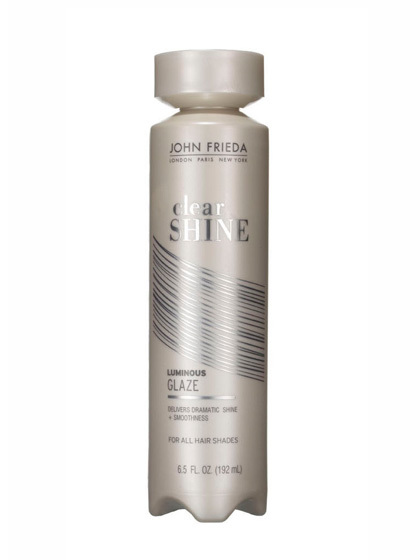 John Frieda Luminous Color Glaze Clear Shine gives a noticeable gleam that lasts for a week. 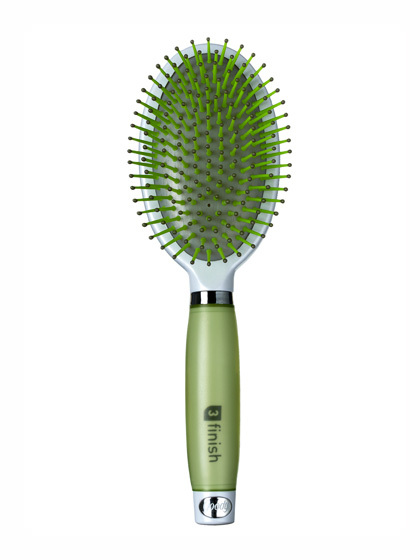 Using a brush with rough, wiry bristles can cause breakage. And if you’re using a brush while you blow out your hair, a metal one can heat up fast and actually burn the cuticle. Instead, go for a rubber paddle brush with smooth synthetic bristles—ones with little balls on the ends, such as the Goody Start Style Finish Frizz-Free Finish brush, are especially gentle. There you have it ladies I do agree that getting beautiful long hair is a process, but like everything we want.It takes time and dedication, and the results are worth it. With a daily routine that works for you, and the right products your easily on your way. What products work for you? what is your long hair routine? Leave a comment below. Just another Gray Day: OOTD!